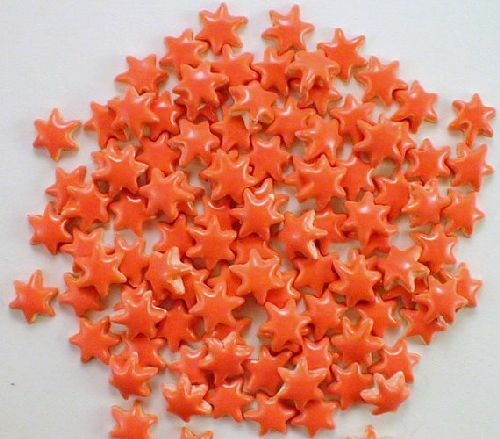 These come in neon yellow glaze and neon orange. 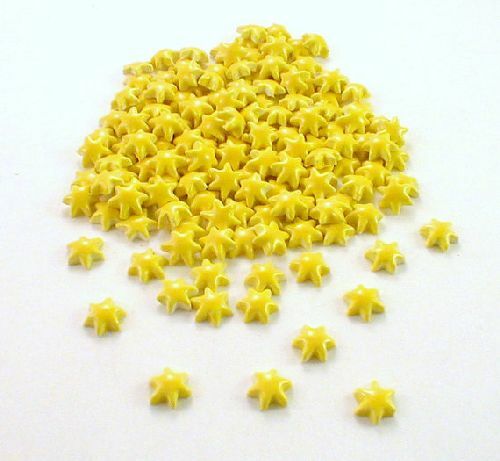 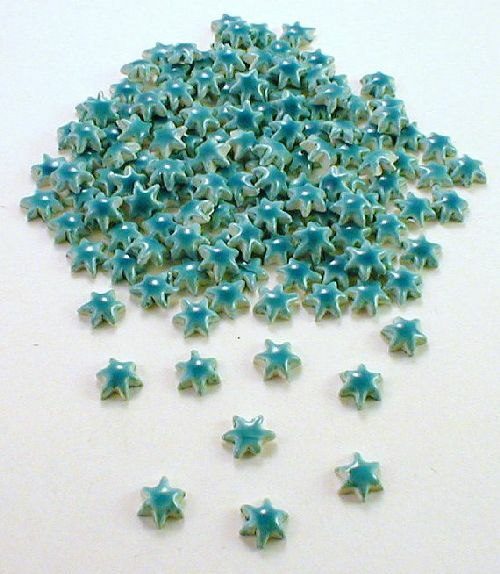 The micro ceramic stars are 1/2 inch (12mm) in size and a little over 1/16 inch (2mm) thick. 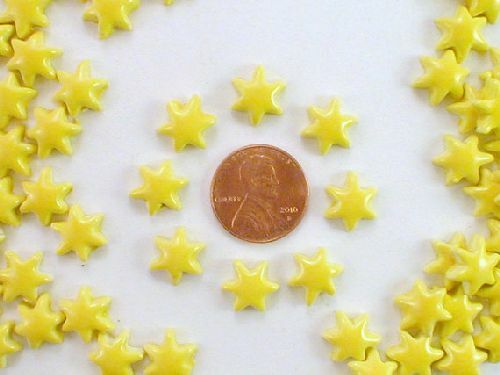 Please refer to picture and use the penny as a guide for the size.